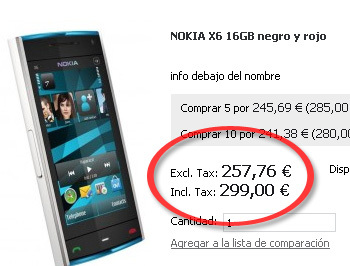 I found a problem when trying to show the Catalog Prices including and excluding tax in Magento. After changing the country to Spain it solved the problem. Thank you! it worked perfect! Hi all, I have this problem too. My tax class is for Denmark with 25%. 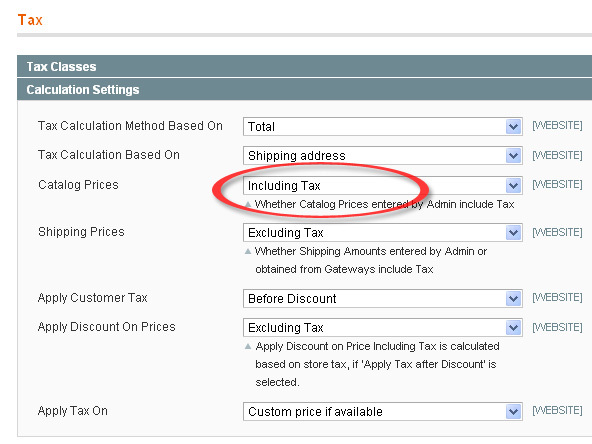 My product has price included tax but It show in admin, edit product: [DKK] [Inc. Tax] – tax is zero. I I setted up the admin for that: catalog price include tax. In Shipping setting, I setted up country is Denmark but it seem not working. Have you tried to clean the Magento Cache? I cleaned the Magento Cache ( I setting disable cache and I go to var/cache and delete all it’s sub directories). I using Magento ver. 1.9.1.1. So, you’re using the Enterprise edition? If you find a solution, feel free to post it! Yes ofcourse, whenever I fix it, I’ll post it. But I’m using some Magento community but the same with it. I think problem is configuration but I haven’t found solution yet. I have having same problem in magento 1.7 community. I have upgrade magento from 1.3.2.4 to 1.7. 4.787.585 post views so far. This page needed 44 queries to load.